I know it's not the weekend. 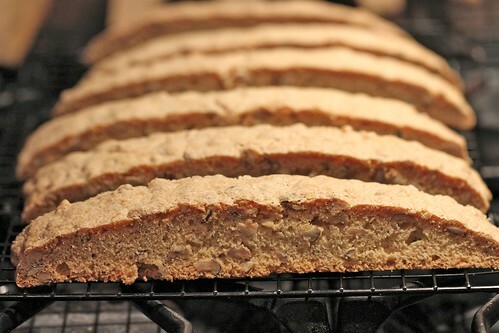 But I’m fresh out of time, and I didn’t want to keep these hazelnut biscotti from you. So please excuse the lack of words. Don’t blame the cookies. 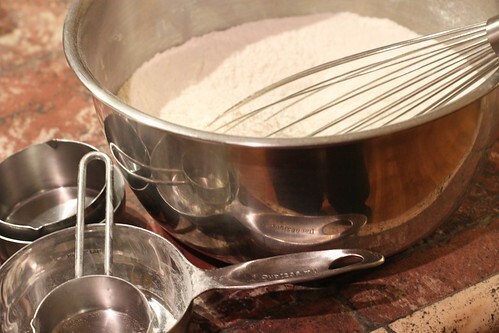 Whisk the flour, sugar, baking powder and salt together. 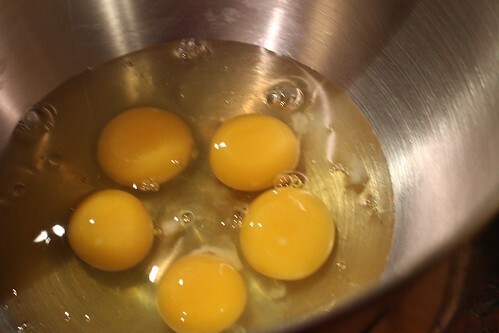 In a large bowl/the bowl of a stand mixer (helpful, since this is a thick batter), whisk the eggs until well combined. 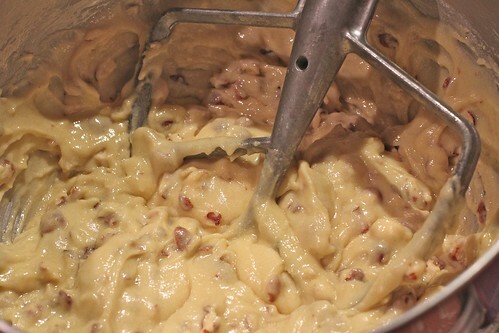 Whisk in the Frangelico. 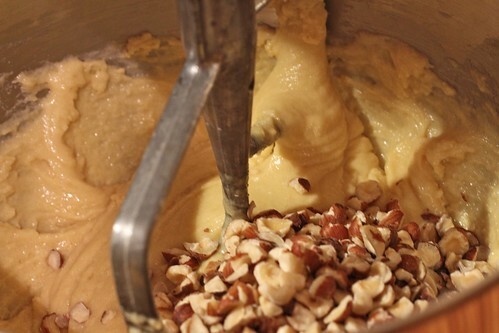 Stir in the flour mix until everything is just combined, then fold in the hazelnuts. 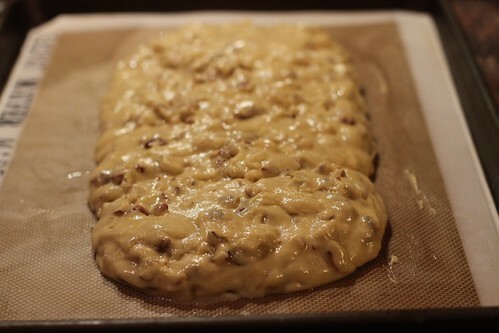 Wet your hands so you can handle the dough without it sticking to you. 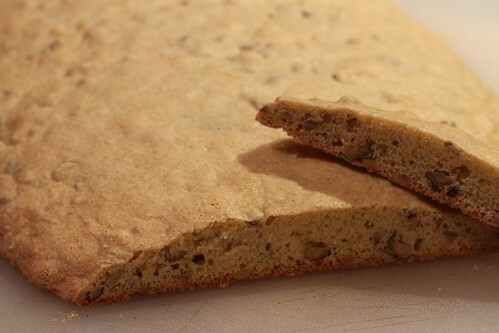 On a half-sheet pan lined with parchment or a silpat, shape the dough into a long rectangular log. 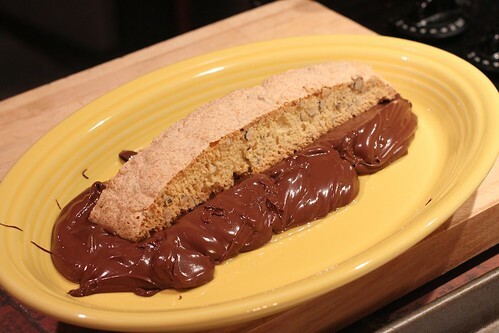 Bake for 1 hour. Move the loaf to a cutting board and let it cool for 10 minutes or so (leave the oven on). 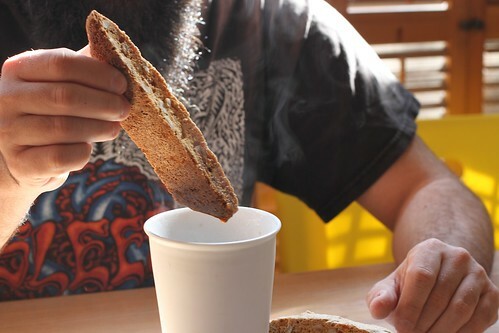 With a long serrated knife, slice the log into 1-inch wide biscotti; you’ll get about 18 large biscotti. 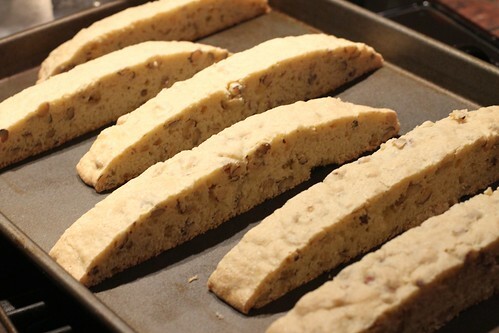 Arrange the sliced cookies back on an unlined baking sheet and bake for another hour until golden, dry and crisp. 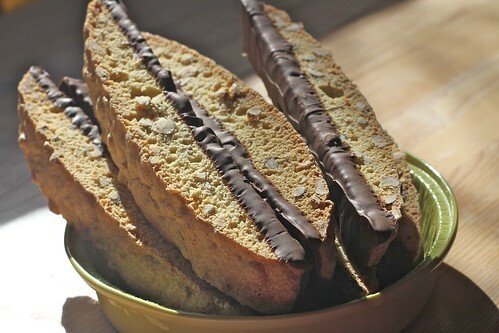 If you want to gild the lily, dip the bottoms of the cooled biscotti in dark chocolate. Yum. 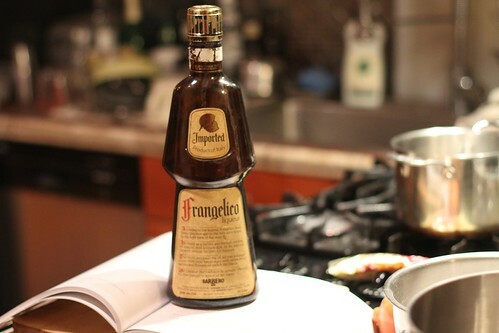 Okay, really bummed that I don’t have Frangelico in the house right now! They look so good! Frangelico is my favorite thing in the world, so yeah these look awesome. Yummmmmmmmmm!I say smear them with Nutella too, but either way is looking very yummy! I say make them, dip them in Frangelico-spiked hazelnut hot cocoa, and sigh into a puddle.